A massacre at a colonial garrison, the kidnapping of two pioneer sisters by Iroquois tribesmen, the treachery of a renegade brave, and the ambush of innocent settlers create an unforgettable, spine-tingling picture of American frontier life in this classic 18th-century adventure — the most popular of James Fenimore Cooper's Leatherstocking Tales. 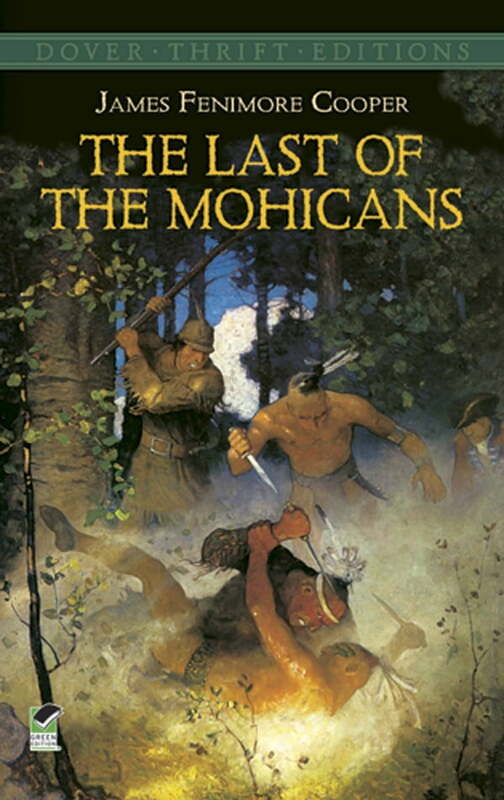 First published in 1826, the story — set in the forests of upper New York State during the French and Indian War — movingly portrays the relationship between Hawkeye, a gallant, courageous woodsman, and his loyal Mohican friends, Chingachgook and Uncas. Embroiled in one of the war's bloody battles, they attempt to lead the abducted Munro sisters to safety but find themselves instead in the midst of a final, tragic confrontation between rival war parties. Imaginative and innovative, The Last of the Mohicans quickly became the most widely read work of the day, solidifying the popularity of America's first successful novelist in the United States and Europe. Required reading in many American literature classics, the novel presents a stirring picture of a vanishing people and the end to a way of life in the eastern forests.